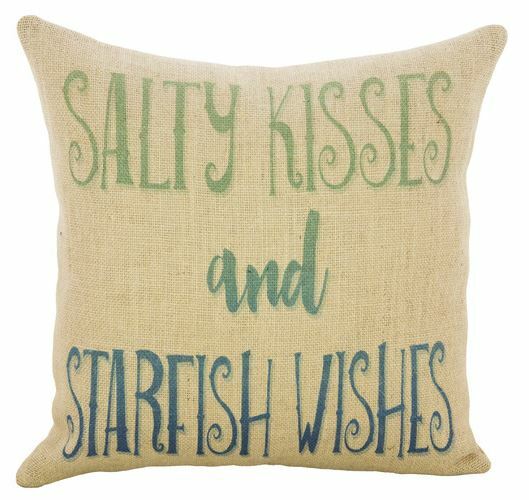 Salty kisses and starfish wishes – that’s what my dreams are made of! Enjoy today’s inspiration! Hat. 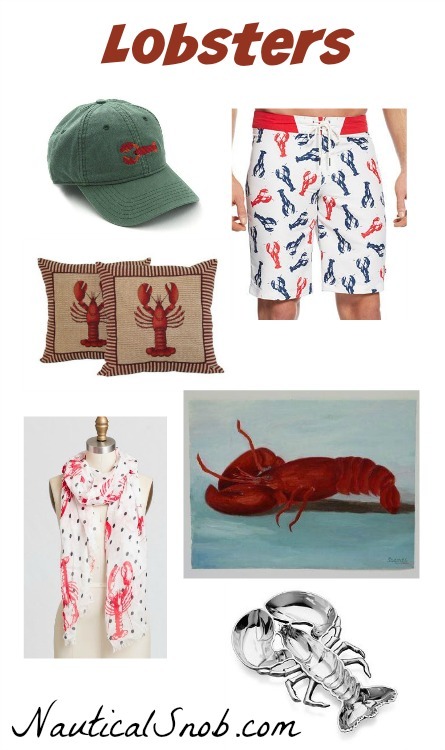 Lobster Board Shorts. Lobster Pillows. Lobster Scarf. Oil Painting. Lobster Tray. You may also like these lobster decor items. 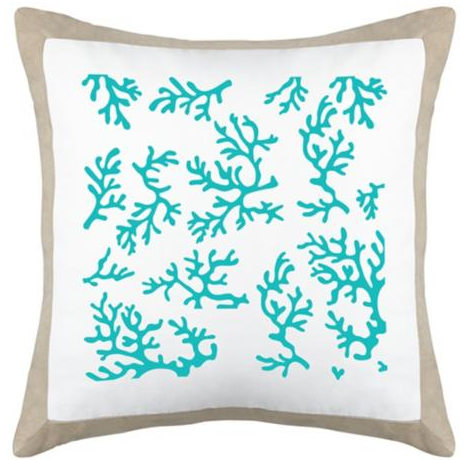 Today I’m showcasing a bright turquoise coral pillow. I love how the color pops against the crisp white and it has a sandy colored edge. This pillow is made of microsuede, so it will clean up nicely and it feels great too. 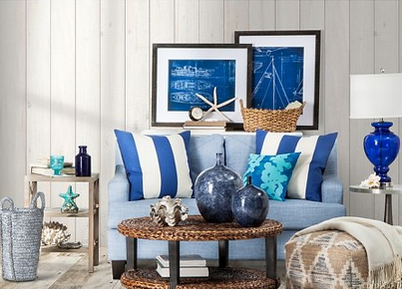 You may also like these beachy pillows. 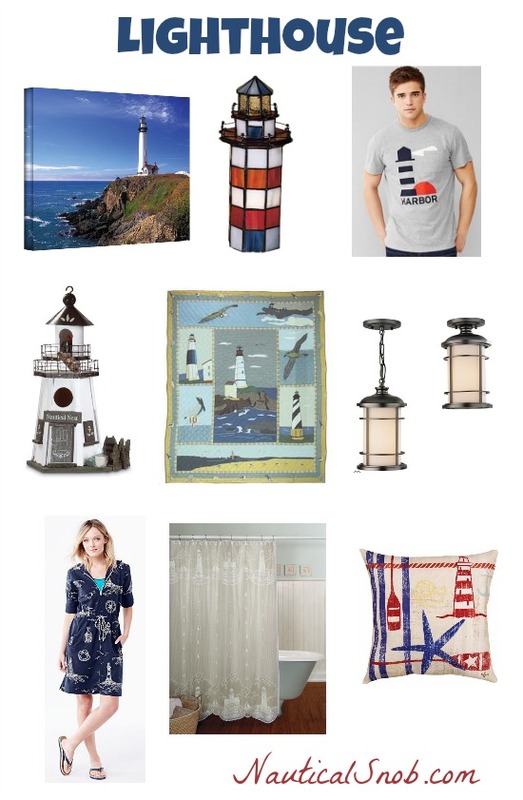 I’ve found some fun items to create a lighthouse theme board. I love lighthouses, but my mother-in-law is obsessed with them. I love looking at her collection and I’m trying to decide which item I want to give her for Mother’s Day. Click on the item names below for more info. Pigeon Point Lighthouse Canvas. Tiffany Style Lighthouse Lamp. Men’s Lighthouse T-Shirt. Lighthouse Birdhouse. Lighthouse Quilt. Lighthouse Hanging Lantern. Nautical Cover-Up. Lighthouse Shower Curtain. Lighthouse Throw Pillow. You may also like these similar items. Target has really stepped up their offerings of nautical styles. 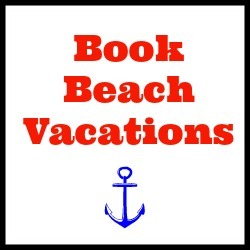 Choose from fun anchors, knots, starfish, stripes and more. Below are some of my favorites. (May not be available to see all items on a mobile device.) If you want to order online, get free shipping on most orders of $25+. Click any item below for more details.